Like many people, I love listening to music. 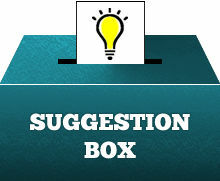 I enjoy music from many different genres – alternative, rock, jazz, pop, EDM, hip hop, new wave, instrumental…you name it. And certainly as a cellist and a member of an orchestra, I listen to quite a bit of orchestral music from symphonies to film scores. But it’s hard love ALL classical music because there are so many very different styles within the genre. I’ve never been a big fan of Renaissance and early music and the same goes for the other side of the spectrum – modern classical. However, recently, I’ve been trying to expand my horizons when it comes to classical music written in the last 80 years and I have to say, I may be coming around. I’ve found many really interesting pieces that are part of the “modern classical” era that are definitely worth a listen. Even if you’re a die-hard fan of the Romantic or Baroque composers, here are some of my favorite modern pieces and composers that may turn you into a 20th and 21st century classical music fan. If there’s one name that stands out as the most well-known in the modern classical era it is Philip Glass. Even if you don’t recognize the name, if you’ve seen films like The Truman Show, The Hours, and Candyman, you’ve heard his music. Glass’ music is described as minimalist, characterized by repetitive structures and simplicity. He has written operas, symphonies, works for ensemble, and, as previously mentioned, film scores among other works. He received the 2018 Kennedy Center Honors on December 26. John Adams’ music draws upon pop, jazz, electronic music, and minimalism and is infused with expressive elements. He has written everything from chamber music and cantatas to large orchestral works and operas. After the terrorist attacks on September 11, 2001, he wrote On The Transmigration of Souls for orchestra, chorus, and children’s choir. The text from this work was derived from fragments of notices posted at the WTC site by friends and relatives of the missing, interviews published in the New York Times, and randomly chosen names of victims. He was awarded the Pulitzer Prize in music for this composition. Henry Cowell was born much earlier than the previous two composers, but he was considered an avant-garde composer. Often called an ultra-modernist, he infused his early music with what we now call “world music”. His upbringing on the West Coast exposed him to a great deal of Irish airs and dances and music from China, Japan, Tahiti, and India. He also worked with and encouraged composers like Carlos Chávez who incorporated themes from Mexico’s indigenous people. Unfortunately, he was arrested and incarcerated on a “morals” charge and that affected his later works which were markedly more conservative. His Hymn and Fuguing Tunes are among these later less-radical works, but they do retain some of the progressive bent of his earlier years. In between the lively melody of his Hymn and Fuguing Tune #10, you’ll hear some interesting and atonal chords. His Sailor’s Hornpipe saxophone quartet is also worth a listen. Unlike the previous composers who are all American, Marjan Mozetich is a Canadian composer. He has written music for theater, film, and dance as well as symphonic works, chamber music, and solo pieces. His music has evolved over the years but typically blend the traditional, popular, and modern infusing lyricism and romantic harmonies to evoke spiritual and meditative feelings. This is particularly noticeable in his 1995 work The Passion of Angels written for two harps and orchestra. Come hear soloists Janet Harriman and Don Hilsberg and the Parker Symphony Orchestra perform this work on February 15 at the PACE Center. Tickets on sale now. The newest piece on this list, blue cathedral was commissioned by the Curtis Institute of Music for their 75th anniversary. It was composed by Jennifer Higdon, a modern American composer, whose music is considered neoromantic and is not intentionally written with a form in mind but is allowed to unfold naturally. Like The Passion of Angels, blue cathedral has a spiritual feel. It was written in memory of Higdon’s younger brother, Andrew Blue Higdon, who died of skin cancer in 1998. The composer remarked that the process of composing this piece was “the most cathartic thing [she] could have done”. Górecki was a Polish composer who was largely unknown outside of Poland until the mid-to late 1980s. His Symphony No. 3, also known as the “Symphony of Sorrowful Songs”, was recorded with soprano Dawn Upshaw and released to commemorate the memory of those lost during the Holocaust. It became a worldwide commercial success, selling more than a million copies. Du Mingxin is a Chinese composer known for ballets, concertos, and a symphonic Beijing Opera. His Festival Overture is an exciting and interesting piece. The “Battle Hymn of the Republic” (also known as “Mine Eyes Have Seen the Glory”) was written in 1861 by Julia Ward Howe, wife of Samuel Howe – a scholar in education for the blind. Both Julia and Samuel were active leaders in anti-slavery politics and strong supporters of the Union, so it’s no surprise that the song is heavily associated with the Civil War. In the years since the war, however, it has become a staple in American patriotic music. While you may find yourself singing it on the 4th of July, you probably don’t know all there is to this inspiring song. Check out these 7 facts about “Battle Hymn of the Republic” below. “Battle Hymn…” was said to be a favorite of Walt Disney’s so much so that it was played at the end of his private funeral in 1966. It was also one of Winston Churchill’s favorite songs and was played at his state funeral at St. Paul’s Cathedral. It has been performed at other memorial services, most notably the service at St. Paul’s Cathedral for those lost on 9/11, at the Requiem Mass for Bobby Kennedy, and at Senator John McCain’s funeral at the Washington National Cathedral. The story of the song’s creation begins with a visit to a Union army camp near Washington DC. Julia Howe heard a group at the camp begin to sing a popular war song titled “John Brown’s Body” (which was sung to a tune borrowed from the hymn “Say, Brothers, Will You Meet Us”. One of the other visitors at the camp, Reverend James Freeman Clarke, suggested that Mrs. Howe pen new lyrics to the same tune. She awoke the following morning and in a flash of inspiration, wrote the lyrics for “Battle Hymn of the Republic” that we sing today. Its Opening Lines Were The Last Words Spoken By Martin Luther King Jr.
On April 3, 1968, Dr. Martin Luther King, Jr. gave a speech in support of sanitation workers in Memphis. He announced, “I want you to know tonight, that we, as a people, will get to the Promised Land. And I’m happy, tonight. I’m not worried about anything. I’m not fearing any man. Mine eyes have seen the glory of the coming of the Lord.” The next day he was assassinated on the second floor of the Lorraine Motel. The Atlantic Monthly published the poem in February 1862 and paid Julia Ward Howe $5 (note that some say it was actually $4). While that doesn’t sound like a lot, it is actually equivalent to $124.97 today. The publisher was also the one who gave the poem its title. In 1960, the Mormon Tabernacle Choir’s recording rose to #13 on the Hot 100 and it even won them a Grammy Award for Best Performance by a Vocal Group or Chorus. When you read the lyrics, one of the most obvious inspirations that becomes apparent is the title of John Steinbeck’s novel The Grapes of Wrath which came from the line “He is trampling out the vintage where the grapes of wrath are stored.” It also inspired the title of John Updike’s In The Beauty of the Lilies. Numerous other songs have been set to the same tune. For example, the University of Georgia’s fight song “Glory Glory to Old Georgia”, the parody song “The Burning of the School”, and a version that Mark Twain wrote to comment on the Philippine-American War titled “The Battle Hymn of the Republic, Updated”. Many historians agree that Julia Ward Howe’s writing had been a source of bitterness and strife in her marriage to Samuel Howe. He worked diligently to stop her intellectual aspirations and isolate her from literary outlets. Still, she defied his wishes where she could, even publishing an anonymous book of poems at one point. That enraged him and he began badgering her for divorce and separation – which she declined. In the end, she could not be silenced as “Battle Hymn” lives on as a lasting contribution. The Parker Symphony and the Colorado Mormon Chorale will perform the “Battle Hymn of the Republic” among other patriotic pieces on October 26 at 7:30 PM at the PACE Center. Many of the pieces in our upcoming “Salute” concert are probably familiar – certainly “The Star Spangled Banner” and the “Battle Hymn of the Republic”. But one that may be relatively unknown outside of video game circles is “Baba Yetu”. Once you hear it, though, we think you’ll agree that in addition to being inspirational, it’s also truly unforgettable. 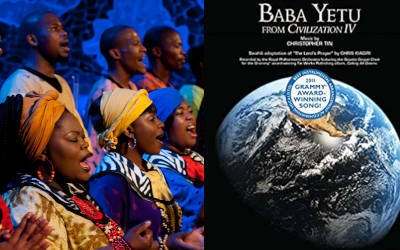 “Baba Yetu” is essentially the Lord’s Prayer sung in Swahili. The title translated means “Our Father”. Unlike many orchestral and choral pieces that are either classical music or film scores, “Baba Yetu” has a unique story. Composer Christopher Tin was at his five-year Stanford University reunion where he reconnected with his former roommate Soren Johnson. Johnson told Tin that he had been working on the video game Civiliztion III at which time Tin relayed his love of the series. A few months later, Johnson contacted Tin and told him that he was working on Civilization IV and needed music for the game’s introduction and menu area. Recalling his interest in the series, he asked if Tin wanted to help. Johnson had heard the Stanford Talisman, an a capella group at Stanford, sing traditional African music and wanted something similar. Tin composed “Baba Yetu” in 2005 and recorded it with Stanford Talisman for the game. Tin re-recorded the piece for his first solo classical crossover album titled Calling All Dawns in 2009, recruiting the talent of the Soweto Gospel Choir for vocals. “Baba Yetu” received a lot of critical praise, including from over 20 reviewers from major video game publications like IGN and GameSpy. It was also particularly memorable for fans of Civilization IV because of its combination of an inspirational and majestic theme with African percussion and rhythm. In 2011, it won a Grammy Award which not only made it the first video game theme nominated, but also the first piece of music composed for a game to win. It also won at the Independent Music Awards and the 2006 Game Audio Network Guild Awards. Today, the piece is frequently performed at Video Games Live concerts and has even made appearances at venues like Carnegie Hall, The Dubai Fountain, the Kennedy Center, The Hollywood Bowl, and America’s Got Talent. Below are a couple of popular recordings from YouTube so you can hear this amazing piece yourself. To hear it live, be sure to join us on October 26 at 7:30 PM at the PACE Center for “Salute”. It is a well-known fact that Shakespeare’s influence spread well beyond his plays and far beyond idyllic Stratford-upon-Avon. He gave us new words like “fashionable” and “softhearted”. He inspired figures like Freud, Dickens, and George Washington, to name a few. His reach can even be seen as far as the planet Uranus – 25 of its 27 moons are named for Shakespearean characters. A bit closer to home, however, are the numerous orchestral and vocal works that were written about Shakespearean storylines and characters. From A Midsummer Night’s Dream to The Tempest, here is a rundown of the best classical music inspired by Shakespeare. Mendelssohn wrote music for Shakespeare’s play A Midsummer Night’s Dream on two separate occasions. He first wrote a concert overture in 1826 and then in 1842 he incorporated the overture into incidental music he wrote for a production. 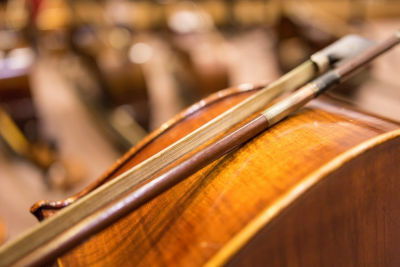 The exclusively instrumental movements, the Overture, Scherzo, Intermezzo, Nocturne, and Wedding March, are typically played as a suite in both concerts and recordings and they remain among the most famous of all Shakespearean classical music. In fact, the Wedding March is the traditional music you hear when the just married couple exits the ceremony. Like Mendelssohn, Tchaikovsky wrote both an overture and incidental music about Hamlet. Liszt also wrote a symphonic poem titled Hamlet. But it is Danish composer Niel Gade’s Hamlet Overture that made our list because of its emotionally dramatic nature that is truly evocative of Shakespeare’s play. A symphonic poem of sorts, it begins with a funereal march that foreshadows tragedy followed by an animated, angry theme in a minor key that eventually leads to a pulsating theme in a major key (perhaps a Hamlet and Ophelia love theme). The piece then returns to the funereal march in a unified conclusion. The Parker Symphony will be performing Gade’s Hamlet Overture on May 11! You’ve no doubt heard parts of Prokofiev’s Romeo and Juliet in popular culture – most recently “The Dance of the Knights” as ominous music in The Apprentice. But there’s more to this ballet and its music than just that one melody. Love, quarrels, fights, and the balcony love scene all offer amazing musical moments. Note: Tchaikovsky also wrote a Romeo & Juliet overture worth listening to. It was not only inspired by Shakespeare’s play, but Schumann’s Julius Caesar was also heavily influenced by Beethoven’s Egmont overture. It shares the key of F minor with Beethoven’s work as well as the sonata form and a code in a major key. A known musical cryptogram enthusiast, it has been suggested that there is a cipher for “C-A-E-S-A-R” in this work’s opening chords. From the title, it’s difficult to see how this fits the Shakespeare music theme. 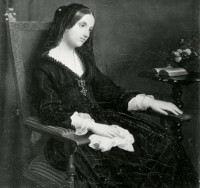 However, An Sylvia was inspired by a scene in Two Gentlemen of Verona. It is a German lied (an art song in which a German poem is set to music). The text is a German translation of the poem, “Who is Sylvia” from Act 4, Scene 2 of the play. Schubert wrote this at the height of his career and while it seems simple, it also has an elegant and witty quality that is perfectly aligned with the tone of the play. Before the times of John Williams were numerous film score composers you may not know. And like some of today’s compositions, some of this film music can truly stand on its own. William Walton’s music for the 1944 film Henry V can be counted in this category. He manages to achieve dramatic effect that delivers a top-notch musical adventure. The music was arranged into a suite and recorded in 1963. Korngold is another name known for his film scores (although he also wrote an amazing violin concerto). In 1918, prior to his time as a film composer, he was asked to write incidental music in Vienna for Shakespeare’s Much Ado About Nothing. The result was music with imaginative melodies, rich tones, and lush harmonies that help it stand on its own as an independent work. The Tempest is considered by many to be among Sibelius’ greatest achievements. Written as incidental music to the play, Sibelius strove to represent individual characters through specific instrumentation. Critics note that his use of harps and percussion to represent the ambiguity of Prospero is a truly inventive choice. This along with another work titled Tapiola were the last of Sibelius’ works. After that he spent his remaining 32 years writing almost nothing else. Porgy and Bess is one of George Gershwin’s best-known works (along with Rhapsody in Blue and An American in Paris). It is an English-language folk opera featuring a cast of African-American singers based on a play and a book named “Porgy”. When it debuted in 1935, it was a daring artistic choice given the racially charged theme, but despite some controversy, it gained popularity especially after the 1970’s and is now a frequently performed opera. Even if you’ve never seen it performed (or seen the movie adaptation), chances are you’ve heard some of its songs like “Summertime” which is frequently recorded separately. There’s more to this American opera, though, than “Summertime”, “I Got Plenty o’ Nuttin'”, and racial controversy. 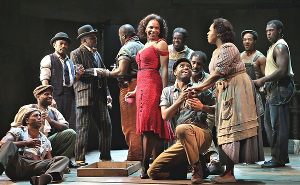 Here are 11 cool facts about Porgy and Bess to keep in mind the next time you see it or hear its amazing music (you can hear the Parker Symphony perform selections from Porgy and Bess on February 23). “and Bess” was an afterthought: The opera was originally named “Porgy” throughout its creation. The “and Bess” portion was added to avoid confusion with the novel and play it was based on. The thought was also that the “and Bess” made it sound more operatic. It was a box office flop: Porgy and Bess debuted on Broadway in 1935 (after its world premiere in Boston). Its original run included 125 performances which by opera standards is a huge success. However, for Broadway, that’s a theatrical failure. Its performance resulted in an integrated audience: After the Broadway run, the opera went on tour to Philadelphia, Pittsburgh, Chicago, and, finally, Washington DC. In Washington, the cast, led by lead actor Todd Duncan, staged a protest of segregation at the National Theater. The theater intended to offer a special “blacks only” performance, but Duncan and the cast said they would never perform in a theater that prevented them from purchasing a ticket because of race. Management gave into their demands and the result was the first integrated audience for a performance of any show at that venue. It has faced racial controversy over the years: Duke Ellington was said to have objected to its depiction of African Americans, although he later said the opposite. Harry Belafonte turned down the role of Porgy in the film version and the role when to Sidney Poitier. It is thought, however, that Gershwin never meant to insult African Americans. On the contrary, he insisted that it could only be sung by a black cast, a tradition upheld by Ira Gershwin that has launched the careers of several prominent black opera singers. George Gershwin sought to write a true jazz opera and he felt that the Met staff singers couldn’t master the genre. Robert McFerrin sang the role of Porgy: Bobby McFerrin’s father, Robert, sang the role of Porgy in the 1959 film version. His voice was dubbed over Sidney Poitier’s. The libretto was co-written by a former insurance agent: The libretto (the text used in the opera) was written by both Ira Gershwin and DuBose Heyward. Heyward was the co-author of the original “Porgy” novel which he wrote with his wife while he was working as an insurance agent. The setting is fictional, but the inspiration is real: Porgy and Bess is set in the fictional neighborhood of Catfish Row, South Carolina. However, the setting and the story were inspired by the James Island Gullah community in South Carolina. In fact, most of the characters speak in the Gullah dialect. George Gershwin moved to Folly Beach, an island near Charleston, South Carolina, to draw inspiration from the Gullah community while composing the score. It has been on Broadway seven times: Despite its initial failure, Porgy and Bess has been produced on Broadway seven times to date – 1935, 1942, 1943, 1944, 1953, 1976, 1983, and 2012. The 2012 production had the longest run at 321 performances. It was a “first” for La Scala: Porgy and Bess was the first opera by an American-born composer to be performed at the famous opera house in Milan. The performance took place in 1955 and Maya Angelou was among the cast. It was referenced in Sesame Street: The opera has undeniably made its mark in American music and culture, so much so that it was referenced in an episode of Sesame Street’s 36th season. Hoots the Owl sang a parody version of “A Women Is A Sometime Thing” to Cookie Monster called “A Cookie Is A Sometime Food”. “Summertime” may be more popular than you know: Not only is it a memorable aria, but it has also been covered over 33,000 times by groups and solo performers. Join the Parker Symphony Orchestra on February 23, 2018 to hear selections from Porgy and Bess and more. Tickets for Gone Too Soon are on sale now.